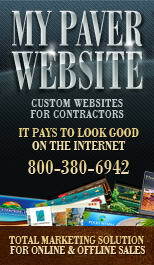 HardScape Magazine does not sell or provide data to non-affiliate third parties for promotional purposes, but may collect and share aggregate website statistical information (such as sales, traffic patterns or related information) with third parties with the express approval of HardScape Magazine ®. No such shared statistics will contain any identifying user information. 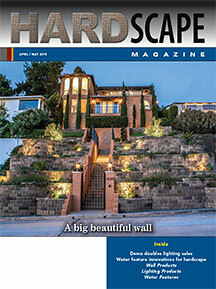 When connecting to our website, HardScape Magazine may automatically collect technical non-personal information. Examples include the type of Internet browser used, your computer operating system and the IP address of the website from which you linked to our website. When viewing our website, information in the form of a "cookie" or similar file may also be stored on your computer. This information helps HardScape Magazine to tailor its website in a manner to better match your interests and preferences. If you do not wish to receive cookies or want to be notified when they are placed on your computer, many Internet browser's settings allow you to erase existing "cookies" or block or warn before a cookie is stored on your computer. Consult your specific browser's instructions to learn more about these features. HardScape Magazine does not collect personally identifiable information (name, address, e-mail address and telephone number) through its website unless you provide it to us voluntarily. 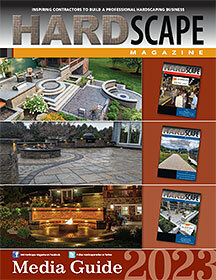 HardScape Magazine may ask you for personal information to respond to your questions; process or fulfill your order or request; or register you in contests and sweepstakes. For product or service orders, HardScape Magazine may need additional information in order to process or fulfill your order or request. HardScape Magazine will not share your personal information with third parties without your permission, except as otherwise necessary to (i) process or fulfill your order, (ii) respond to your request or answer your inquiries, (iii) enter you in contests, sweepstakes or other promotional activities, or (iv) comply with any applicable law, court order or other judicial process. 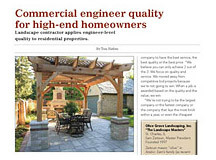 HardScape Magazine may occasionally hire other companies to provide certain services on its behalf, including management of contests, sweepstakes and surveys. HardScape Magazine may provide such companies with the minimum amount of personal information necessary to deliver the service, which may not be for any other purpose. You will not receive e-mails or mailings concerning HardScape Magazine or its products, services or promotions unless you specifically elect to receive such information. Although no system is currently 100% immune from external attack, HardScape Magazine has taken commercially reasonable measures to prevent the unauthorized access and improper use of your personal information.